Customers make an essential part of the growth of any business as they play a large role in determining how fast it can expand. If you are aiming to grow your business, the idea is to keep on growing your customer base by attracting new clientele. Finding and keeping the existing customers is just a preliminary step for any business, but you must grow to keep afloat in this fast-moving society. The first step is to identify your current customers. One way to do this is by performing simple qualitative research through surveys of existing clients. Your analysis should identify existing client’s buying patterns, demographics, psychographics and ethnic-graphics. You can also perform extensive interviews with a group of customers and qualitative studies to find out how targeted customers feel about your products and/or services. There are other sources of information that can help identify your target market, and these include government agencies, third-party research firms, and trade associations. Customer tastes and consumer behaviors are changing rapidly and it’s up to you as a small business to keep up with them. Defining the target market enables you to identify such changes and determine the influencers and gatekeepers of certain markets, as they affect the direction of your target market. For example, the gatekeepers of a retailer that specializes in the sale of toys or dolls are parents or guardians. Study their tastes to determine the kind of toys they want to purchase for their kids. If you have been using one social media platform, exploring different platforms may be what your business needs to reach new customers. If most of your posts are targeting Facebook users, you can branch out to Instagram, Pinterest and Twitter. This calls for identifying where your target market spend most of their time and turning your impressions into conversions. Customers value relationships, so you want to establish this before attempting to make a sale. While online networking communities like LinkedIn and Facebook provide a great way of networking, you don’t want to disregard old-fashioned face-to-face interaction. People want to do business with the people they know. As your business becomes established, customers come from various different sources. During the initial stages, methods like referrals from friends and family and advertising may have worked. But, as the company grows, the increasing complexity of the business environment requires more strategic decisions. Collaborations through partnerships and mergers with firms that offer complementary services are great ways to build a new customer base. This can also help to obtain new ways of doing business. For example, adopting more efficient technologies that reduce lead time. 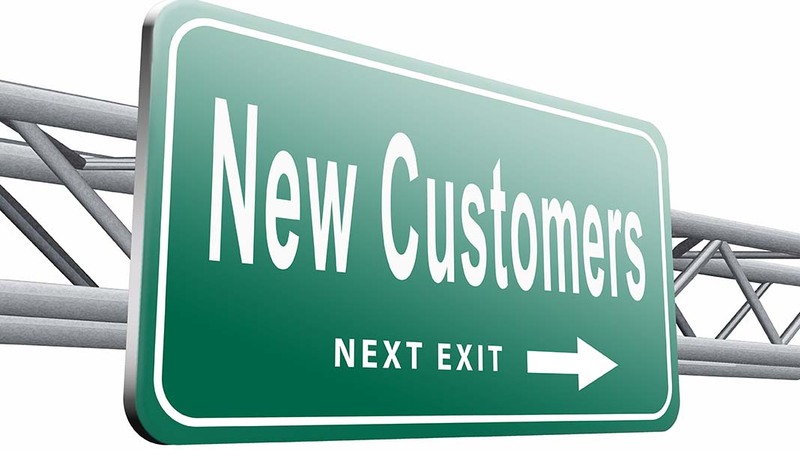 Successful businesses not only retain loyal customers but strive to build a new customer base. With rapid changes in the business environment, companies need to keep their eyes open for new markets and make a concerted effort to win over these new markets. Author: Bruce Hakutizwi is USA and International Accounts Manager for BusinessesForSale.com, the world’s largest online marketplace for buying and selling small and medium size businesses. Bruce has over 7 years’ experience working within the US business transfer marketplace connecting buyers and sellers.